C.C. 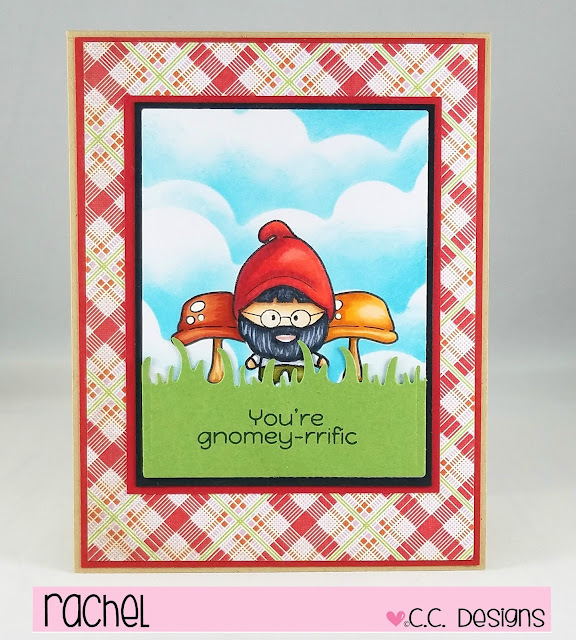 Designs: You Must Get To Gnome Me! You Must Get To Gnome Me! using the Gnomey stamp set!! This one involved a bit of masking!! so that they looked like they are behind him. You always stamp first what you want at the forefront! Distress Oxides and a cloud stencil. The grass is from the Garden Accessories die set.